We want to be the very best for consistency, customer service and quality of work on the Mornington Peninsula. "BRILLIANT! we put our house on the market, so clean, gleaming windows were essential! This cleaner was courteous, professional, reliable and gave us the best quote, with terrific results! Highly recommend." "Great job done. Highly recommend!! We have had window cleaners before who couldn't reach some of our windows. But not a problem for Neil, Thanks." "Very thorough work of our two storey home, punctual, professional and friendly staff. Highly recommend!" "Amazing service and attention to detail, very happy. Thank you." 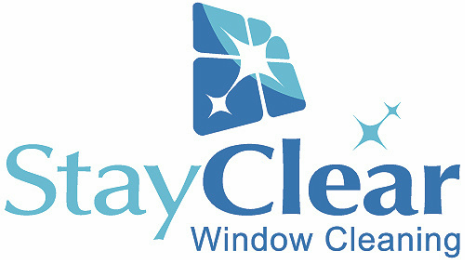 "I can highly recommend stay clear window cleaning. Very courteous and efficient and arrived on time. Our windows are sparkling clean ready for our sales campaign! Thanks Neil ." "After being let down by another local window cleaner, Neil came to our rescue to clean both inside and out at the 11th hour! Neil is reliable, well priced & did a great job!" "Stay Clear cleaned my windows inside and out today and they have never looked so good. Done at a very reasonable price too, would highly recommend this company!" "Stay Clear done an amazing job on our home. Very impressed with service and will definitely be using them again." ​"Finally a window cleaner that has the equipment that can clean our three storey home. Very impressed! Thanks." "A job very well done on our windows, better than the day we moved in! Very thorough work at the right price.. We will be using them again." ​"My windows are so incredibly clear now, they look amazing. Fantastic job and thank you." "I'd just say how impressed I am with the service I received - you worked so hard on a very hot day and I now have windows that sparkle!" "Fantastic service provided we were very impressed with the Service. Windows sparkling inside and out. Would highly recommend." "Stay Clear Window Cleaning have cleaned my windows & did a great job giving me more time to spend my weekend with my lovely family. Friendly service with a smile. Great job Neil, thank you. We'll see you again soon." "Wonderful job, I couldn't stop looking out my windows they were so clean." "Awesome work on very difficult French framed windows.. Highly recommend!" ​"Neil does a fantastic job. Spotless windows and frames. recommend to anybody"
"I have used Stay Clear Windows twice and due to their professional attitude and work ethic. ​l recommend them to all my contacts on the Peninsula."